Opening Ceremony of ModusLink’s Expanded Czech Solution Center in Brno, Czech Republic Picture l-r : Oliver Pospíšil, Deputy of Mayor City of Brno; Bill McLennan, President Global Operations, ModusLink; Michal Hasek, President of South Moravia Region Image Source: ModusLink Global Solutions, Inc.
WALTHAM, Mass.–(BUSINESS WIRE)–May. 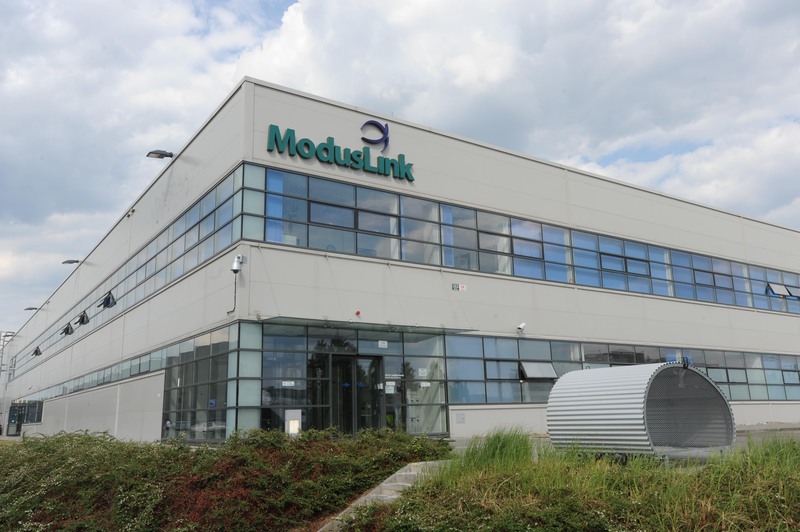 31, 2012– ModusLink Global Solutions™, Inc. (NASDAQ:MLNK), a global leader in supply chain management, has extended the capacity at its Brno, Czech Republic Solution center, one of ModusLink’s five operational sites in Europe. 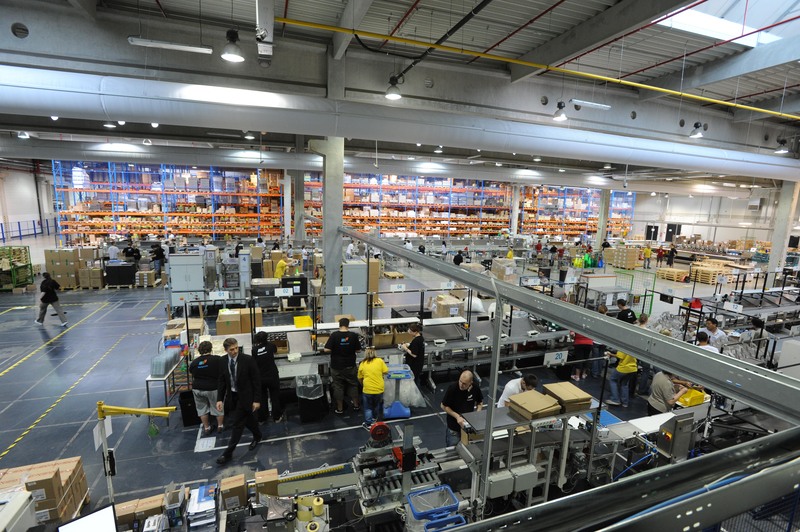 The 32,000 square meter production hall enables ModusLink to provide value-added warehousing, distribution, multichannel fulfilment, returns management and other critical supply chain capabilities to global technology, communications, consumer packaged goods and medical device companies. The Brno Solution Center was established in 2005 and is enabled with a wide range of value-added services, including digital content management, media replication, on-device printing and multiple packaging options. 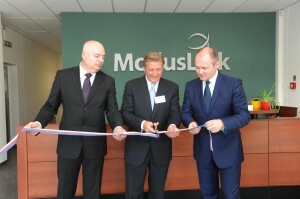 It operates as a strategically located distribution center to more than 120 countries, a returns center to support customer needs, and has recently been positioned as a shared-services hub for ModusLink’s European operations offering centralized supply chain planning and financial management processes. ModusLink Global Solutions, Inc. designs and executes global supply chain and e-Business strategies that drive revenue growth, reduce cost and enhance the customer brand experience for the world’s leading companies. Our factory supply, warehousing, postponement, fulfilment, returns management, value recovery, e-commerce, customer care and digital rights management solutions are delivered across a footprint of 30 Solution Centers in 15 countries. By leveraging our more than 30 years of experience in a variety of vertical markets and industries, ModusLink clients can react quickly to shifting market dynamics that impact the end-to-end product lifecycle. For more information about ModusLink’s reliable, flexible and sustainable solutions, visit www.moduslink.com or www.valueunchained.com, the blog for supply chain professionals. This release contains forward-looking statements, which address a variety of subjects including, for example, the impact of the additional capacity on the Company’s integrated service offering, and the ability to offer the service to more clients. All statements other than statements of historical fact are forward-looking statements. The following important factors and uncertainties, among others, could cause actual results to differ materially from those described in these forward-looking statements: the Company’s success, including its ability to expand its operations, depends on its ability to execute on its business strategy and the continued and increased demand for and market acceptance of its products and services; and the Company’s management may face strain on managerial and operational resources as they try to oversee the expanded operations. For a detailed discussion of cautionary statements that may affect the Company’s future results of operations and financial results, please refer to its filings with the Securities and Exchange Commission, including its most recent Quarterly Report on Form 10-Q. Forward-looking statements represent management’s current expectations and are inherently uncertain. We do not undertake any obligation to update forward-looking statements made by us. ModusLink Global Solutions is a trademark of ModusLink Global Solutions, Inc. All other company names and products are trademarks or registered trademarks of their respective companies.